Here you are going to save the princess and for this purpose you have a really cool weapon. Just using it you can not only kill the enemies, but move really high. Is it clear? Then start it right now and you will cope with it. This is the best game you have ever played. 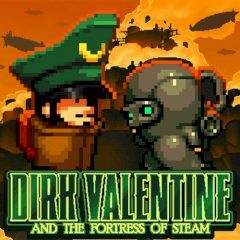 Just use you chain gun to create platforms to walk on in this steam-punk inspired airship platformer and defeat Baron Battenberg in the Fortress of Steam and rescue Queen Victoria! It is so easy! Just use all the tips and to control use the arrow keys to move, up to jump and down to drop through a chain. Aim with the mouse and press left mouse button to fire a chain and you will cope with it, have no doubt! Are you ready for such a challenge? Then start it right now!